If you are not investing in email automation, you are seriously reducing the amount of revenue you can generate with your business. 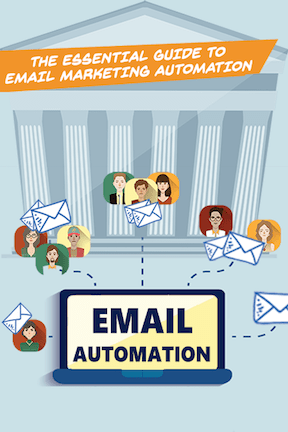 If you are unsure of everything email automation can do for you, then read on…. Email is dead, long live email! Email marketing is far from dead and, while we’re waiting around for a replacement, we need to take full advantage of it. Well, this guide will help. 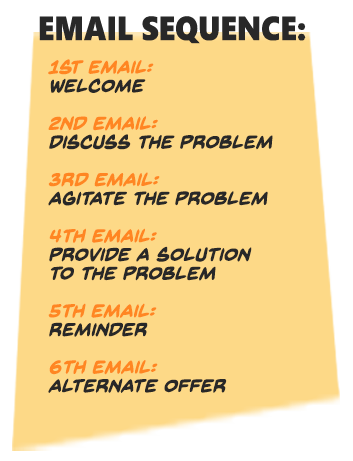 Bonus: Download the 9 step pillar formula for building email marketing automation sequences. 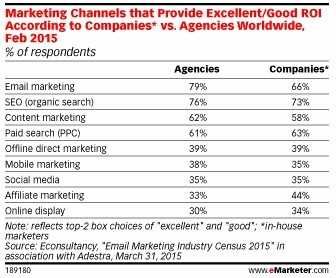 By the way, this was research done by eMarketer on marketing channels that provide good ROI. As you can see, email is at the top of the table. What is email automation (or email marketing automation)? With email automation, when an event happens, an email is triggered (automatically sent). The email is sent from your email marketing tool or your marketing automation tool. With a bit of smart automation, we can send the email at the right time to the right person with information that is relevant to them, based on the actions they take. The relevance of the email and its timing is important. With some smart email automation, you’ll increase the profit you get from every email subscriber. Making sales online is very much process driven. When someone is on your email list, you will probably still create broadcast emails you send out on a regular basis. You may also want standard emails going to potential customers, new customers, existing customers. You want to send the emails, track what happens and then update as required. 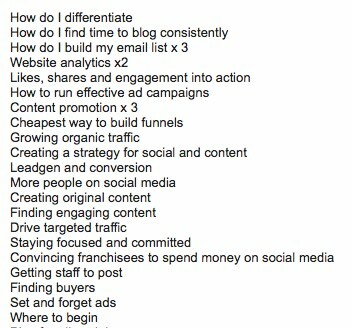 So… even with a small list, some level of email marketing automation is useful. What type of events triggers emails? This is often referred to as a welcome email series. You send an email welcoming people to your list as soon as they sign up (automated email). In the series above, you send an initial welcome email. You then send two value-based emails that discuss the typical issues people have that are relevant to your product or service. In these emails, you provide a link to a useful article that will help them. You then discuss the product you have for sale and you provide them with an offer. The offer could be to purchase the product, sign up for a trial, book a demo etc. You then send an email reminder if they haven’t taken you up on the offer. Then, you might send an alternative offer. For example, offer the lower-priced version of the product. Here’s another example of a welcome series from Help Scout. After someone signs up, they get the initial welcome email. They then get two content-based emails sharing their best content and then they talk about a customer success. After this, they offer a trial for their product. When someone is an email subscriber and visits your website, some email marketing tools can track which pages they visited on your website and then trigger an email based on this. You notice they visited a product page so you trigger an email automatically based on this product. Remember, you can only do this to existing email subscribers. And… it’s dependent on the tool supporting this functionality. Imagine if you sent an email to your subscribers and asked them if they were interested in a product. Based on their answer, a different email (or series of emails) is automatically sent. So, what can email automation do for this? If you collect the email address of the person during the sales process – or if you already have the email address as the customer is an existing subscriber – you can follow up via email to encourage them to come back. That could equate to a lot of missed revenue. Here’s a practical example. 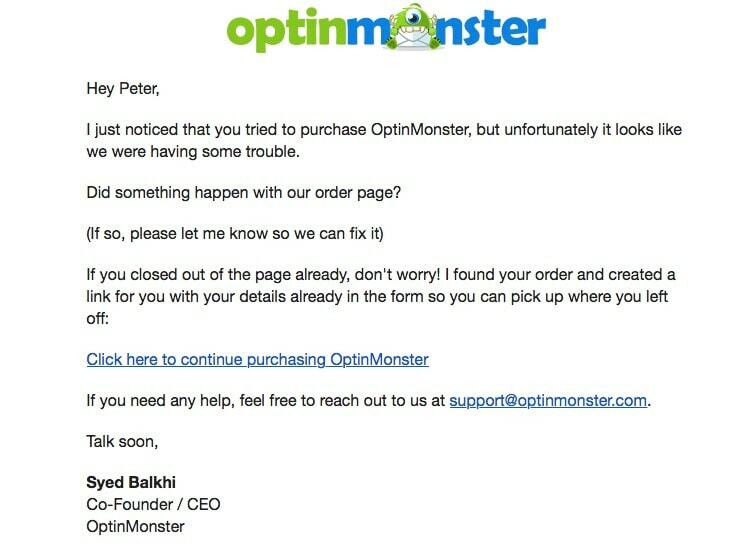 If you are thinking about buying the lead-generation tool called Optinmonster, they ask for your email address early on in the process. Why is email marketing automation important for social media and content marketing? You build an audience on social media and build relationships with that audience. You drive traffic from social media, blogging etc. You then build your email subscribers. If you’re building email subscribers, you’re going to need to build some automated sequences (see below), which help inform the audience of your background, about how you can help them etc. So, your email marketing automation is very important for social media and content marketing. What are the main email marketing terms you need to be familiar with for email automation? As usual, when you delve into these topics there’s a range of industry lingo you need to be familiar with. Optin – This is someone who opts in to receive emails from you. Subscribe is the other word often used for optin. Spam – If they don’t optin and you send them emails, or if they do optin and you overdo it. Unsubscribe – When someone unsubscribes from your email list. Trigger – This is used to describe an event happening that causes something to happen (e.g. an email is generated). Sequence – This is the sequence of events/emails that happen after an event happens. Bounce rate – The rate at which emails are not delivered. A soft bounce is a temporary bounce but a hard bounce means your message can never be delivered to that email address. 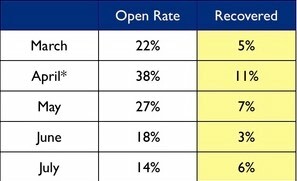 CTR – The number of times people click on links within an email (click-through rate). Double optin – After opting in to your email list, the subscriber needs to confirm their optin in a follow-up email. Email campaign/Drip/Autoresponder – This is where you create a series of emails for a specific event e.g. an email follow-up series after a webinar. Lead nurturing – This is like watering a plant to help it grow! You feed your lead with good content and over time they will hopefully buy. What’s the difference between an email marketing tool and a marketing automation tool? A couple of years ago, an email marketing tool was for sending out broadcast emails such as newsletters. Email sequence builder – to build out your automation. Landing page builder – build a custom page to collect email subscribers. Marketing lead database – sales functionality to help track email subscribers becoming leads and ultimately sales. Analytics – detailed analytics on your email marketing. Reporting – provide exportable reports. Payment integration – collecting money after selling to your subscribers. API for third-party access – allows integration of other tools to your marketing automation tool. Program management – manage marketing campaigns across multiple channels. Lead nurturing – progressing subscribers to leads. Online behavior tracking – tracking activity such as email subscribers visiting your website. Lead scoring – providing a value to a lead based on their activity. The lines are starting to blur. More and more email marketing tools are providing some level of marketing automation. So… how do you know when to move to a marketing automation tool? …upgrade to a marketing automation tool. Check out this article for more details – > Difference between an email marketing and marketing automation tool. What tools do you need to use for email marketing automation? For email marketing, there is a wide variety of tools such as Aweber, Constant Contact and MailChimp. If you’re looking for a reasonably priced tool that gives you a reasonable amount of marketing automation then pick MailChimp. It has great functionality and support and it’s a very reliable platform. Infusionsoft – This is often referenced as confusion soft because it’s quite complex to use. However, it has great functionality and is used by many top marketers around the world. Ontraport – This is a direct competitor to Infusionsoft and, over the last couple of years, it’s caught up a lot on functionality. We use Ontraport and the only limiting factor is that it doesn’t integrate with as many products as Infusionsoft does. Convertkit – This is a relatively new kid on the black that provides good functionality at a reasonable price. HubSpot – This is very useful and comprehensive tool but the price will jump up a lot compared to Convertkit, Ontraport, and Infusionsoft. GetResponse – Email marketing veterans GetResponse offers a wide range of automation emails and triggers such as “shopping cart abandonment” as mentioned above in the post. They recently launched their ‘Autofunnel’ which allows you to automate the creation and tracking of a full sales funnel and it’s awesome. Store all email subscribers – any email subscriber through our site is automatically added to Ontraport. Run reports – There are reports and dashboards available showing information regarding open rates, click-through rates, products purchased, subscriber growth etc. Collect payment – It integrates with payment providers such as Stripe so we can build payment forms through our site. Tagging – We tag our subscribers based on what they do. This tagging mostly happens automatically, such as tagging people for subscribing to our list, joining a sequence, visiting our site, buying a product etc. Send newsletters – we can use their templates or create our own templates. Collect email subscribers via landing pages – Ontraport has it’s own landing-page builder. Automatically build custom audiences for Facebook advertising campaigns. Very similar steps will be required for any sequence that you want to build. Let’s assume this sequence is for visitors to your website who are not customers. Before you think of your initial optin, you need to document the personas of the type of person you want to attract. You do this by analyzing the customers who have bought from you and figuring out what the characteristics of your customer are. When you’re thinking about your optins, you’re always thinking about who you want to attract. The next stage is to do some research with your existing audience to find out what their main struggles/issues are. This will help you come up with an incentive for people to subscribe to your product or service. Recently, we asked our email subscribers what they struggled with. 3. Create your incentive / ethical bribe for opting in. Based on the information collected, you’ll get some ideas of the main issues people struggle with. You can use this information in the messaging for your optins or you could create a guide/training course etc. around this topic. For example, if the main issues your accountancy audience have are around not having enough time, you could create a mini course about how to save time with your accountancy. This gets people to sign up and then you have a lead-nurturing series that ultimately offers them a free trial to your product. You need to start thinking about the emails you will use to direct people to the action you really want them to take. You’ll have your initial email, which welcomes people as part of the community. In this email, it may have the link to the guide, training etc. You then have some follow-on emails. After the sequence has ended, where do they go after this? They could be a customer so they may move to a customer list. If they are not a customer, maybe you move them to a newsletter list. We use a tool called Lucidchart to map out the sequence. You need to create each of your emails. When you are creating the emails as well as providing the content, you also need to think about how you are building the relationship with the subscriber. You want them to feel welcome as part of the community. You want to deliver on your promises (e.g. the best guide ever!). You want to tell them about your background so they can relate to you. 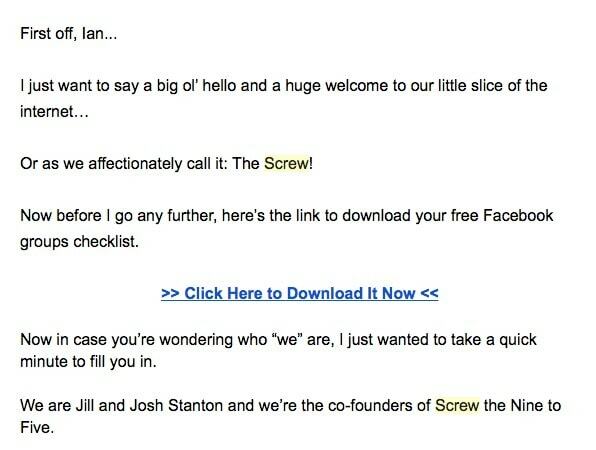 Here’s part of a welcome email from the ‘Screw 9 to 5’ gang. They try to make the person feel welcome. For each email, you need to make sure you are building a relationship as well as providing content. In your email marketing or marketing automation tool, you’ll need to create a sequence and add the emails to the sequence. You’ll then specify when the emails will be fired. sending the welcome email immediately. Send the next email 2 days later. Send the next one 2 days later. Send the offer 1 day later. Send a reminder if the offer if they didn’t take the offer 1 day after this. Add them to a newsletter list if they didn’t buy, or a customer list if they did! Note: Your series of emails will be different depending on the type of service you provide and who you are targeting. 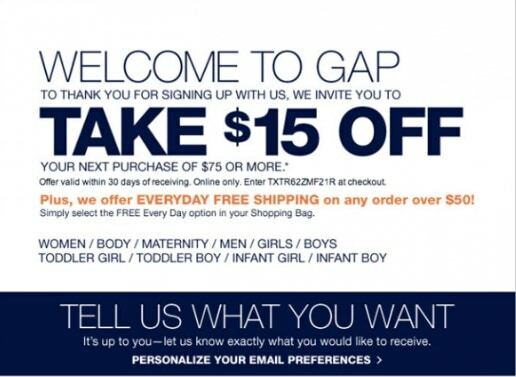 For example, for this retailer it makes perfect sense to send an initial offer in the very first email. That doesn’t mean to say they don’t have a follow on email sequence. They definitely should, but it will be different. Now you’re ready to set up your optins on your site. Depending on the marketing tool you are using, they may provide you with all the functionality and optins you require. However, it’s generally better using a specialized tool. We use Optinmonster for most of our optins (except for landing pages). The reason is that it provides a great range of ways to collect the optins and it has some really smart functionality. You can display different optins based on the categories within your blog. This means you can automatically segment people based on where they opted in. You can display optins if it’s a new visitor or a returning one. Display different offer/optin based on the page they visited. Display a different optin based on their location. Display a different optin based on their action e.g. if they abandon the cart or have purchased the product. Now that you have everything in place, it’s time to drive traffic to the optins. This could be organic traffic to blogs posts from Google, Facebook Ads, referrals from other sites etc. When you are building optins you ideally want to segment your traffic. For example, you could segment your email subscribers based on the category of post. Wouldn’t it be nice if your optins and funnels worked perfectly from day one? That has never happened me before! So, you measure what works and improve on it. Check your optin rates and change the style of the optin, the wording used, the incentive you’re offering. Check your email sequence – if people are not opening your email, change the subjects lines. If people are not buying, change the emails, change the dates, add emails etc. Your communication to new email subscribers and existing customers need to be completely different. So you’ll need to split these out. Email marketing automation is an essential part of building email subscribers for any business. If you’re selling online, you should be building email subscribers and, if you’re not selling online, you should be building them anyway! You need to follow the formula outlined above for building your email marketing automation. And then watch your results improve!